As both one of the greatest singers in history and one of the most popular, many are interested in collecting the full Frank Sinatra Discography. Born December 12th, 1915, Frank Sinatra is known by many nicknames including Ol' Blue Eyes, Chairman of the Board and the Voice. Starting his career in the swing era, Sinatra became popular in the 1940's for his own voice, rather than being a part of a collective. Sinatra began his career as part of the Hoboken Four, an ensemble named after his hometown of Hoboken, NJ.Early in his career, he was also a singing waiter at the Rustic Cabin in Englewood, NJ. Sinatra's first large break occurred in 1939 when bandleader Tommy Dorsey requested Sinatra to join his band. The move allowed Sinatra immediate notoriety as Dorsey's band was one of the most popular bands of the time. In order to be allowed to do so, Sinatra needed Harry James to let him out of a standing contract he had with his band. James, gratefully did this and Sinatra remained forever indebted to him. Dorsey and Sinatra, however, did not get along as well as Sinatra and James. Dorsey held a contract that allowed him 1/3 of all Sinatra's future earnings. Though a rumor stands that Dorsey was intimidated to be bought out of this by a mobster, it was actually the founder of MCA who did so. 1940's and 1950's saw the height of Sinatra's career. He signed with Columbia Records and starred in the movie Anchors Aweight. In the 1960's, Sinatra signed the Capital Records and released numerous top ten hits. This trend continued in the 1970's and then, after returning from retirement, in the 1980's. For most of his career, Sinatra was a hot pop star and often rose to the top of the charts. In his personal life, Sinatra was a rumored manic depressive who received many honors, from awards to a star on the Hollywood walk of fame to a stamp in his honor. Frank Sinatra's discography runs deep: the star has released over 59 studio albums, 2 live albums, and 297 singles. 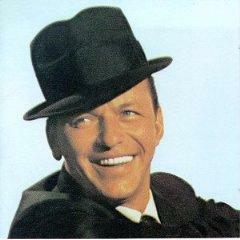 Sinatra Family.com offers discographies of Frank's albums and singles, although many of his albums are no longer available or are only collector items. Many of his tracks have been consolidated on to many collector disc sets. 1954's Songs For Young Lovers/Swing Easy! 1958's Come Dance With Me! On a Little Street in Singapore"/ "Who Told You I Cared? I Think of You"/ "Who Can I Turn To? Winter Weather"/ "How About You? Five Minutes More"/ "How Cute Can You Be? While Frank Sinatra may have released more singles and albums than most of today's artist, it is important to note that he did it over a long period of time spanning more than 50 years.